The scent of rosemary is used in aromatherapy to promote focus, memory, and reduce brain fog. 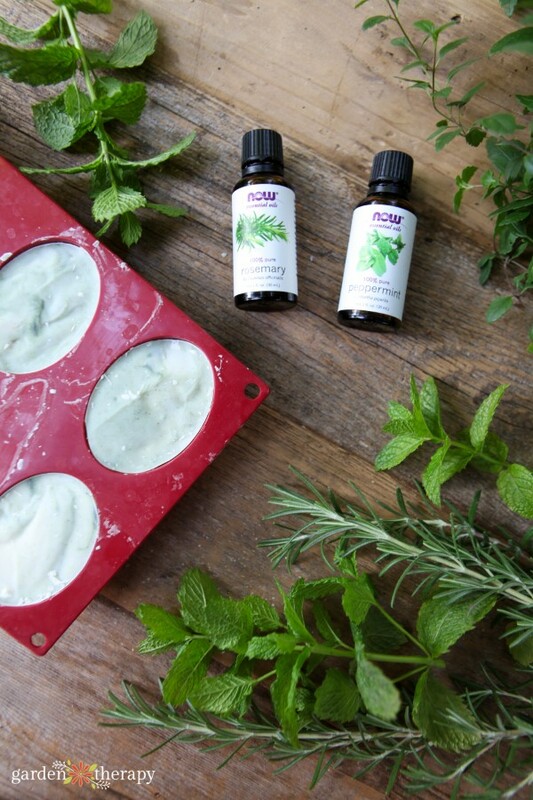 Peppermint is purported to help energize and refresh the mind and body. And both of them are effective natural deodorizers. That’s why I combined these two scents for my morning shower soap (well, that and they smell awesome together). 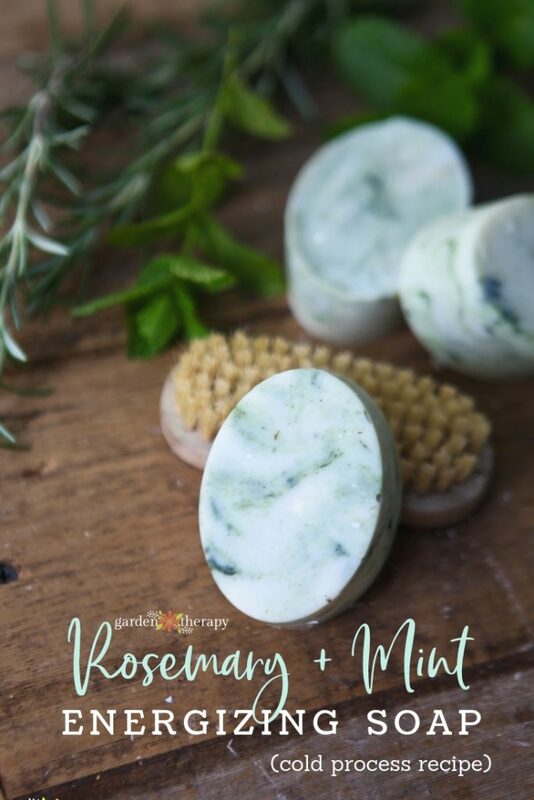 I love this energizing rosemary peppermint soap for my morning shower because it helps me to wake up, clean up, and feel ready for the day. You may think that your body wash is just a type of liquid soap, but actually the reason why it is called “body wash” is because it isn’t soap at all. It is a detergent. You know, like you use on your dirty dishes. Soap can only be called soap if it goes through the saponification process of turning fats and oils in water and sodium hydroxide into soap. 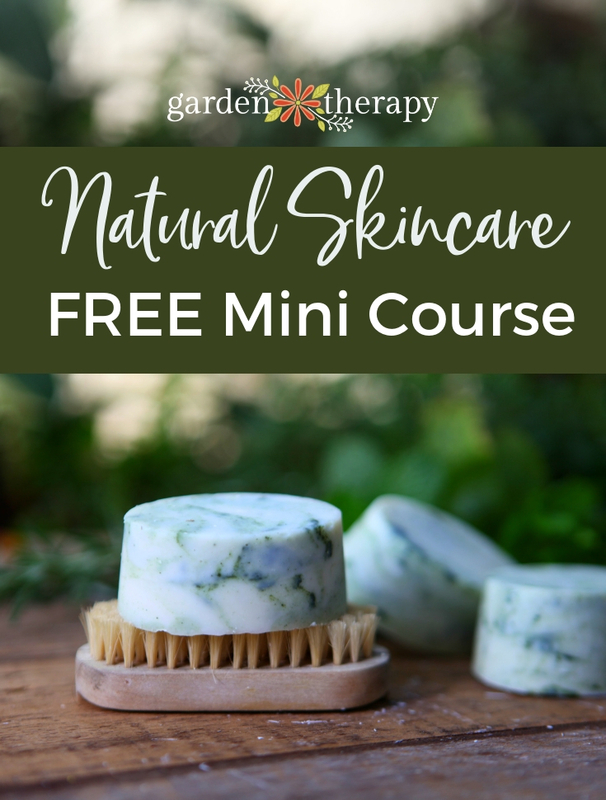 This process makes the most nourishing, gentlest, and healthiest cleanser for your skin, which is why soap is the only thing I use to get clean. No mystery body washes in this household! Soap retains the natural glycerin that’s created in the soap-making process. Products like beauty bars and body washes are detergents, or a recipe of ingredients that, combined together, cleanse your skin. Glycerin has been removed from these products because it is much too valuable to leave in there and make a big profit. Then a bunch of other artificial ingredients have been added to mask the missing glycerin. That’s why I use soap in my morning shower every day. 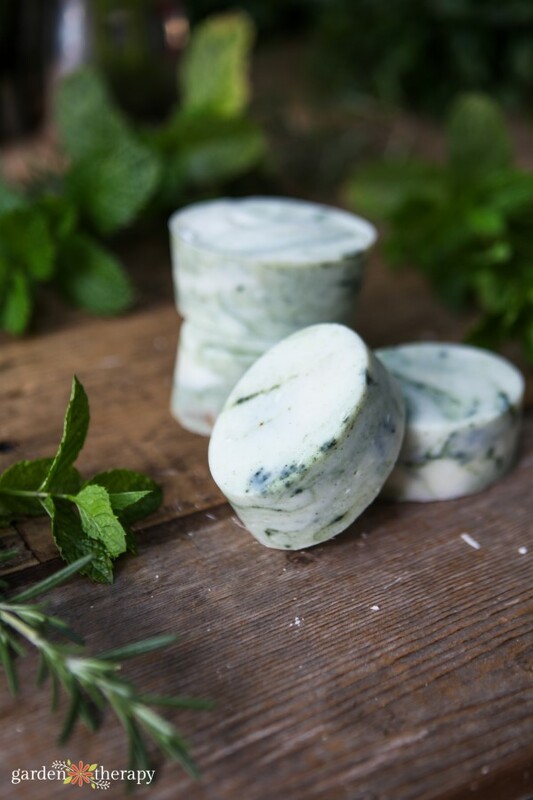 It’s the healthiest way to cleanse the body, and this particular soap wakes up my mind with its refreshing scent combination of rosemary and peppermint. 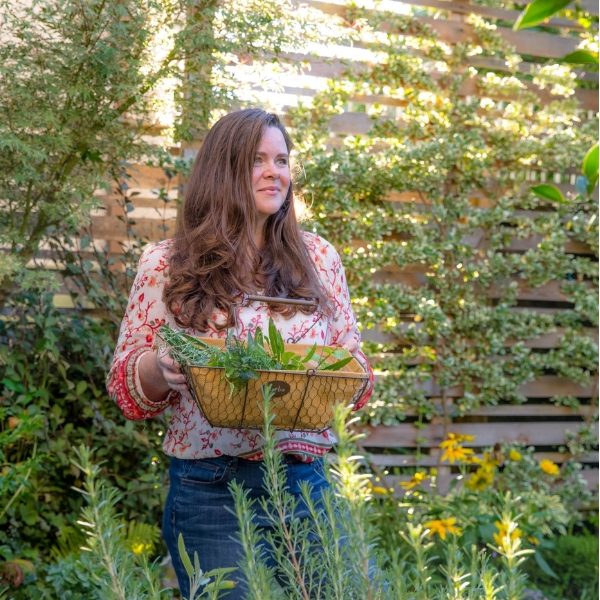 Rosemary is an excellent natural deodorizer and peppermint’s bright scent leaves you feeling fresh. The invigorating scent and natural cleansing properties of both of these essential oils makes this combination the perfect choice for your everyday morning soap. 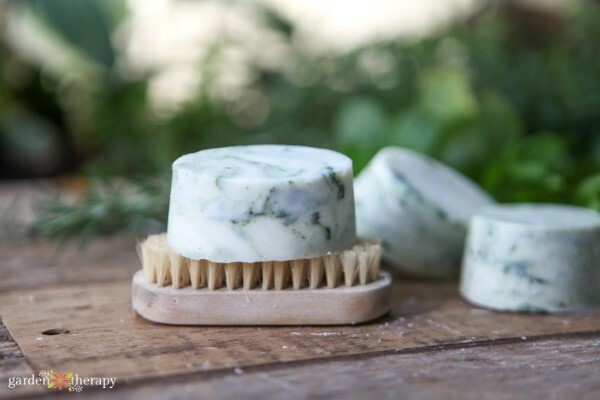 Head over to this post on how to make cold process soap and follow the instructions there. 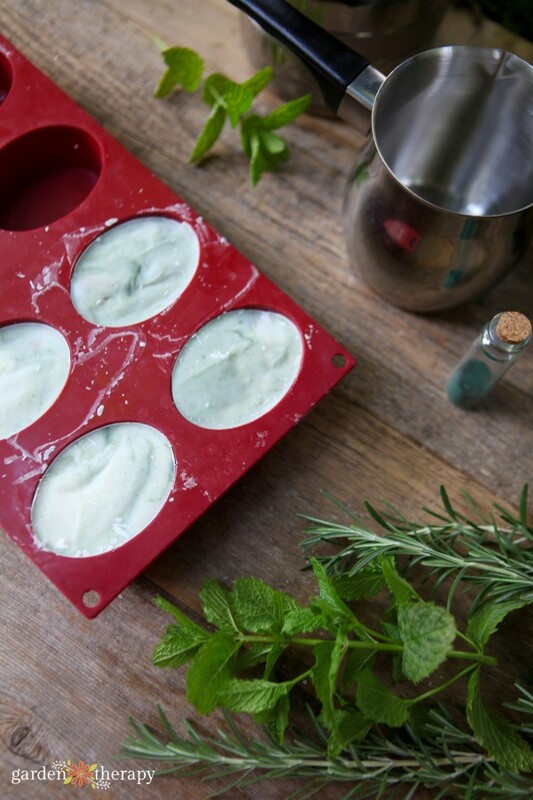 I like using the cold process technique for this soap, but if you want something even easier, you can use a pre-made soap base and add peppermint and rosemary to that. 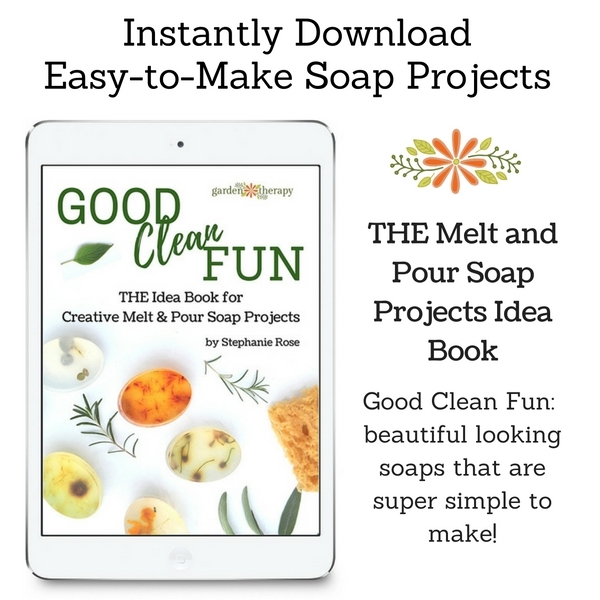 For info on this technique, check out my own book on handmade soap the easy way (using the melt and pour method): Good Clean Fun. Great pictures and recipe, can’t wait to try it as Christmas gifts! Thanks so much! I’m brand new to soap making. I see your recipe calls for coconut oil. I’m seeing that in alot of other places with natural recipes. This has me stumped. My husband and daughter are allergic to coconut. What can be used in it’s place? Being a baker I get the balancing act between ingreidents and that’s just what I was wondering about.